Please make a gift to help our team rescue the lost and abandoned dogs from Hurricane Maria in Puerto Rico. Pawsitivity is suspending all regular fundraising efforts in order to rescue the dogs lost and abandoned in Hurricane Maria in Puerto Rico--but we can't save these animals without you. Your donation will help bring these dogs to medical attention and shelter, and for every dog that is rescued, other resources are opened up to help people. Donate today to rescue the dogs in Puerto Rico impacted by Hurricane Maria. Your donation will help save the dogs in Hurricane Maria and your gift is 100% tax-deductible. 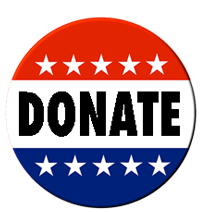 Pawsitivity is a 501(c)(3) non-profit, CFC (Combined Federal Campaign)-approved charity. Donate today to save the Hurricane Maria dogs.